Rising retail star Roger Holmes took the helm at Woolworths in 1998. Determined to make his mark, he wanted to reinforce the emotional bond that shoppers had for 'Woolies'. He demanded new ideas from ad agency Bates Dorland, to replace the long-running series of witty but caustic short TV commercials featuring stars of sports and screen. Despite the legendary creativity of Bates Dorland, even the mighty Holmes was taken aback by their pitch. 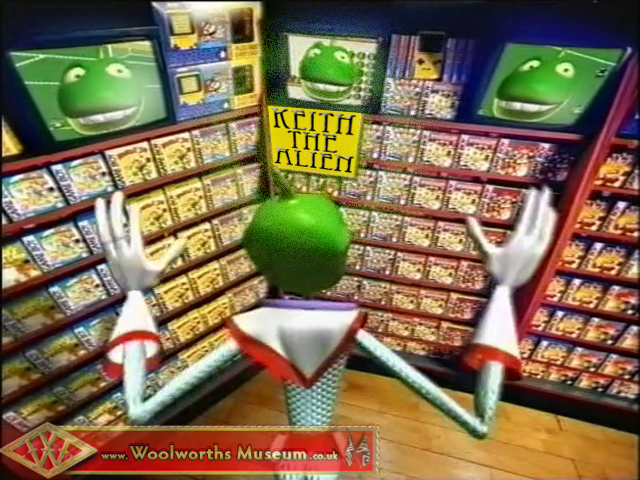 The account team proposed a new 'brand character' with high kid appeal, who would come from outer space and discover the wonders of Woolworths, and let everyone know what an 'abber dabber dabber amazing place' it was to shop. They had named their creation 'Keith', and planned to use the latest CGI technology. Everyone in the Board Room, apart from the Director who had been baptized Keith, loved the concept. See what you think. Keith was a smash hit when he first appeared in a summer commercial on ITV and Channel Four in 1998. But despite his popularity with the public, and special appeal to the very young, he didn't find favour with everyone in the Board Room, where one Director thought that the style of advertising belittled the brand. That Director's name was ... Keith!